Look below to see a description of each event or scroll down to see the calendar. March 27th- Entrepreneur Strategies Workshop 9:00 - 11:00 a.m.
March 27th, 9:00 - 11:00 a..m.
For Business Owners & Entrepreneurs who are looking for ways to grow yourself & your business by acquiring valuable new knowledge through peer advisory boards, coaching, workshops, accountability and community! Join us for this FREE 2 hour workshop that will introduce the 4 Pillars of The Pinnacle Success System™. Success Magnified believes that the most successful businesses and rewarding entrepreneurial lives are built on these 4 Pillars. This 2 hour workshop is packed with value and topics that will be immediately applicable to your business and entrepreneurial life. ● Maximize Your Pinnacle Productivity™ - Most Entrepreneurs are surprised when they calculate their productivity as measured by the amount they earn for the time they work. We will discover specific, powerful methods to leverage productivity and earnings. 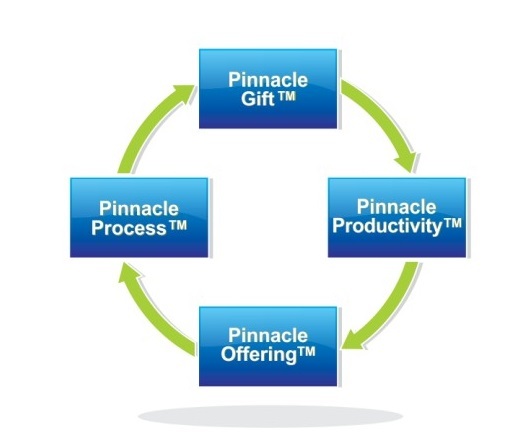 ● Define Your Pinnacle Offering™ By leveraging your Pinnacle Gift™, you will discover your Ideal Client and the Ideal Product or Service to offer. 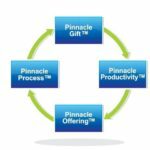 ● Create Your Pinnacle Process™ - The final transformative step is to create a visual roadmap that leverages your Pinnacle Gift™ with your Pinnacle Offering™ and separates you from every competitor in your market! Get it DONE Already Day! Friday April 12th, 9:00 - 3:00 p.m. Maximize what you get done with Deep Focus Sessions! Do you have a project that is weighing you down? One thing that if you just got it completed, you could move on with your life and grow your business already? If you could do it on your own, it would have happened! I encourage you to attend…. A Get it Done Already session! Come together in a small group (max of 6) of like-minded business owners who are ready to get this task off of their to–do list! WORK SPRINTS AND FUN BREAKS. COFFEE, SNACKS, AND COMMUNITY. Hands on training, guidance and implementation with Mary Gaul. You will leave with a feeling of accomplishment, lightness and excitement about what’s next. Of course there will be some CELEBRATING too!! Register Here for April 12 - Get It DONE Already! Many Entrepreneurs significantly undervalue their offering, due to a lack of awareness of their Pinnacle Gift and how to incorporate that into their business. Join us for the Pinnacle Offering™ course to transform your understanding what you provide to the clients you choose to serve. The result is a more unique offering with higher value clients. During this course, we will discover specific, powerful methods to evaluate your current and ideal clients, the services or packages you offer them to increase profitability while creating more rewarding and enjoyable client relationships. Unlike traditional systems that assume time is scarce and the solution is to fit more into less time, Success Magnified believes that time is abundant and teaches entrepreneurs how to create this abundance in their businesses and lives. This Pillar focuses productivity based first on each person's Pinnacle Gift™, and then on four distinct categories of productivity. The result is a proven method to dramatically accomplish and earn more in significantly less time – and to enjoy the journey..